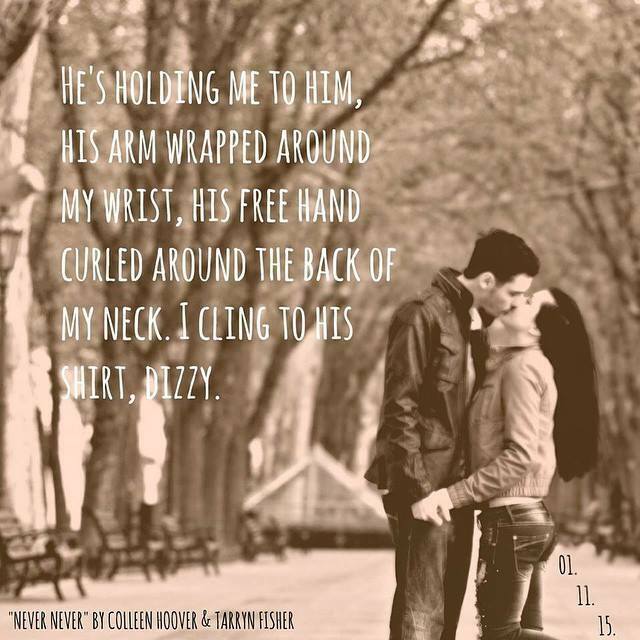 What do you get when you mix Colleen Hoover and Tarryn Fisher together? 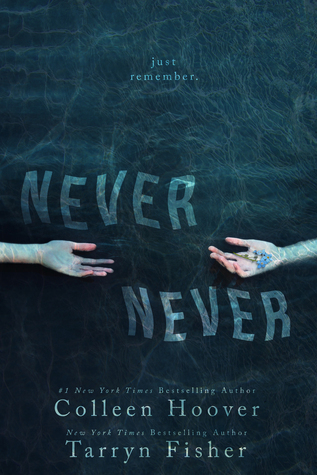 A thrilling, fast-paced, GRIPPING and memorable story called Never Never. 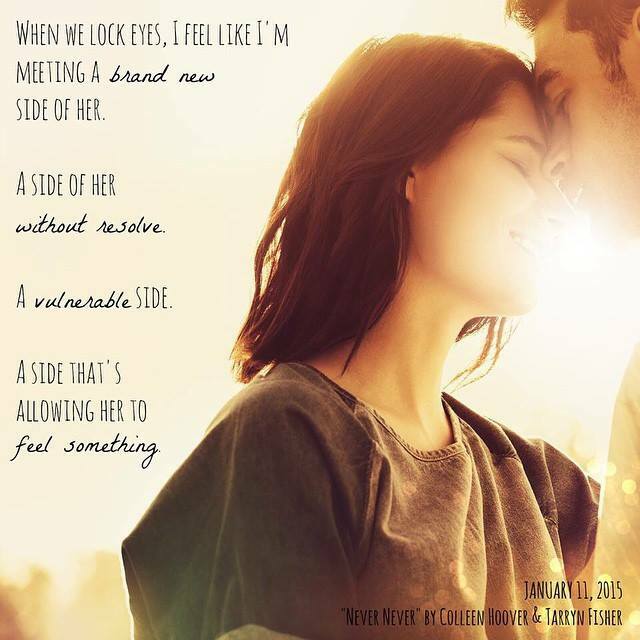 If you have ever read anything written by Colleen Hoover, you know you are getting rich characters, an unforgettable plot and just all around amazing stories. And Tarryn Fisher has an imagination that can’t be rivaled! Ever read her The Love Me With Lies series? Amazing. And Never Never ranks right up there with these writers’ best books. From the first words of this book, I was left feeling like someone pulled the rug out from under me. This overall feeling of disorientation is vital to the story, and the authors pulled it off with great success. I sympathized with the characters, felt their confusion, and could not stop turning the pages! This isn’t exactly a paranormal story, and I cannot wait to see where the story goes. This review is brief because this book is best read without knowing too much about the plot. It is highly imaginative, inventive and very, very different. Don’t miss this one!! Tarryn Fisher is the New York Times bestselling author of Mud Vein. She was born in South Africa, and lived there for most of her childhood. She moved to Seattle just for the rain. She reads and writes more than she sleep. She spends way too much time on Facebook and Instagram and drinks sick amounts of Starbucks. Thank you for the chance..I adore both of them ! Happy 2015 to all. Finished Never Never yesterday and I’m still thinking about it! Definitely a captivating story. So different but amazing! Thanks for the chance to win!